Let me begin now .. 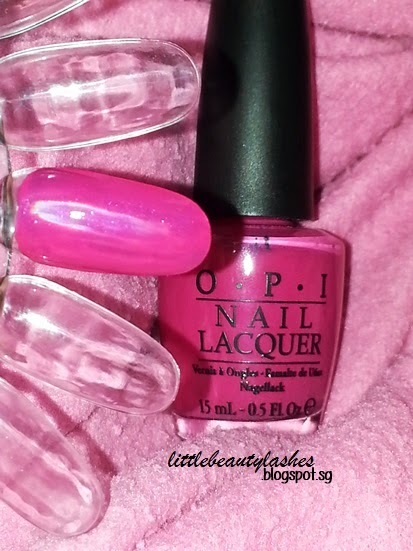 This is my first O.P.I nail lacquers. And I'm really looking forward to buy more different colors from O.P.I. 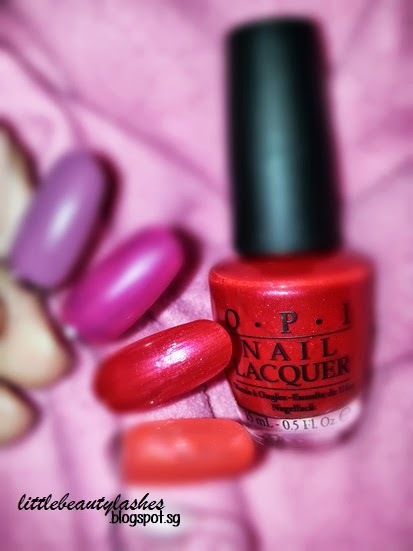 Thanks to my Love ♥ who bought for me this 2 O.P.I nail lacquers that day right after I'm done with my gelish manicure. 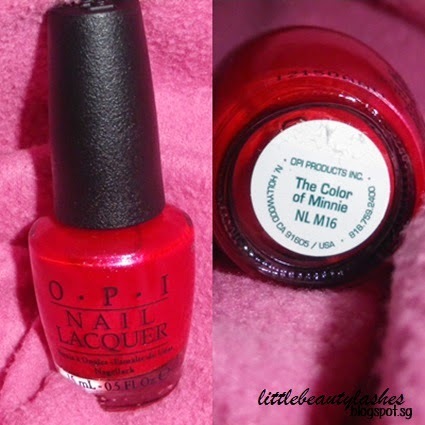 If I'm not wrong, 1 O.P.I nail lacquer cost $14.50. What I remember, 2 O.P.I nail lacquers for $25 from Enamour Beauty at Far East Plaza. I wish I can do this color on my nails now. But, I'm still having my gelish on my nails. That's the reason why I apply it on my nail wheel. I really love this color. RED. Super hot red. And also, I did my own pedicure using this lovely hot red color. The name of this color is really cute! 'That's Berry Daring'. Looks like in deep hot pink. But, at the same time, it looks like purple. But not that obvious purple shade. It still look hot pink. Ohmy.. I'm not good in explaining those colors. You know this is my first post about nail lacquers. LOL. I would love to try out different colors. So ya, that's the end of my post. Stay tune for my next update. Jodie from What Would Audrey Wear? Both colours are so pretty:) Nail polishes I've been loving are Butter london slapper and Essie splash of grenadine. Yup yup! Both colours really pretty!! 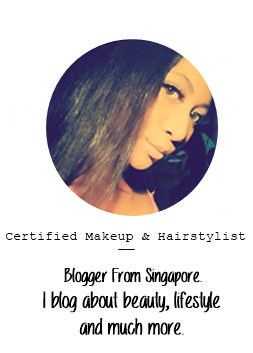 Thanks for sharing :) I'm looking forward to try different colours ^^. Good to hear you're feeling much better now! These are really pretty colors. I love red and pink nail polishes! Thank you. You should try OPI too. You should try OPI nail polishes. Yes, the pink one is very very pretty! ^^. YAAYY! We have the same hot pink nail polish!